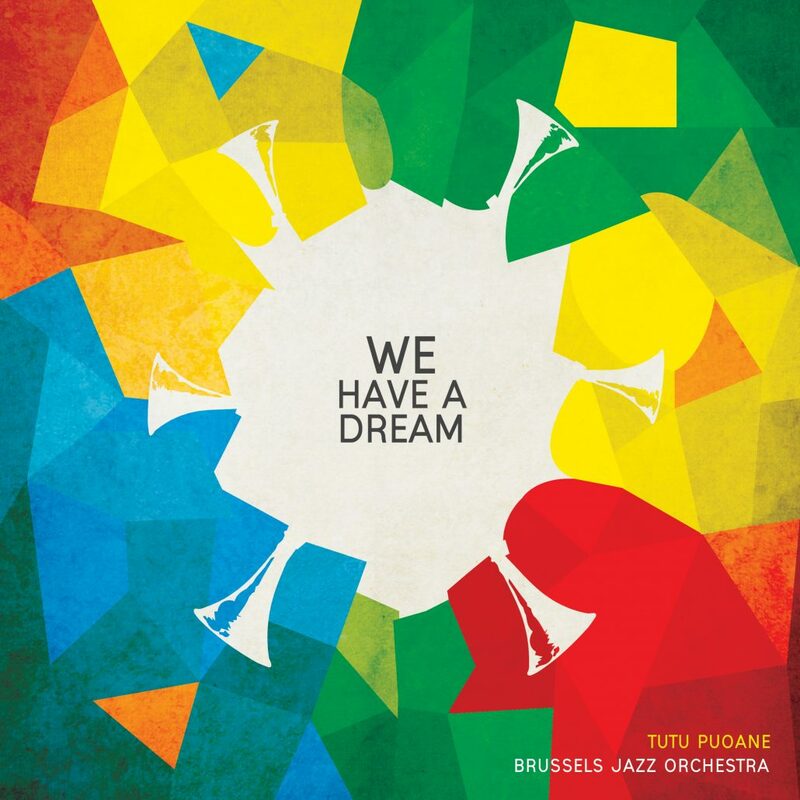 As announced before Christmas, we are very happy to present the next upcoming album in our catalogue: ‘We Have A Dream’, a new collaboration between Brussels Jazz Orchestra and South African/Belgian singer Tutu Puoane. After the success of their first partnership, the album ‘Mama Africa’ (2011) for which they won a South African Music Award, among other accolades, ‘We Have A Dream’ brings together a broad repertoire of songs from very different corners of the music world, all with human rights themes and dedicated to the struggle for justice, equality and freedom. Music written by artists such as Sting, Nina Simone, Joni Mitchell, Stevie Wonder, Rod Stewart, Marvin Gaye, arranged for this project by exquisite, experienced arrangers from the orchestra and beyond, including Bert Joris, Michel Herr, Gyuri Spies, Lode Mertens and Alan Ferber. The result is an exciting, engaging yet accessible mix of sounds and styles, with Tutu’s beautiful voice supported and surrounded by the band’s signature sound, and with inspired soloing from the band members throughout. Official release date is set on February 8 2018, and the premiere concert will take place at De Singel in Antwerp on February 23 2018. The digital download-version of the album will be available for pre-order in the iTunes Store. Stay tuned :-). For more info, visit the BJO-website. More tourdates via the events-section of this website. End-Of-Year Sale in our webshop. New gigs posted. ‘We Have A Dream’ ready for pre-order.